I’m a natural goal setter, but sometimes we set goals for the future so we can make an excuse not to take action right now. Someday has become a four-letter word in my vocabulary if I can’t think of a reason why I can’t do it now. Someday we will start saving for retirement. Someday we will take our dream vacation. Someday we will run a marathon. I spent the better part of my thirties saying that someday I was going to focus on a lot of things. When I get a promotion (goal), I’ll donate more to charity and save even more for retirement. When I travel less for work (goal), I’ll take a foreign-language class and plan more trips for fun. When I downsize to a smaller house (goal), I’ll get more time in the evenings because I won’t have to clean as much. When we celebrate our next anniversary (goal), I’ll hug my husband every time he or I come home. Why did I have to set a someday timeline and pretend it was a goal? Why couldn’t I start on those things today? Is it because I had to mentally prepare myself? Were my goals just excuses for me to procrastinate on moving forward? I have in-laws who have said someday for the 24 years I’ve known them. When my father-in-law died of Alzheimer’s Disease, I decided I didn’t want to use that word again. They had always said someday they would travel, so they waited until he retired, and then his health significantly declined. Someday never came. During my thirties, I got promoted a few times, cut my travel in half, downsized to a house with hardly any maintenance and had a few anniversaries. Did anything really change? No. Because looking back, I was goal-setting as an excuse or would make the goal even higher to put it just out of reach. 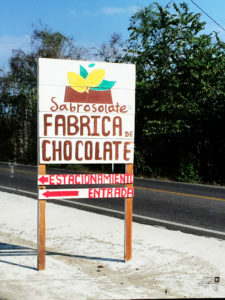 Why wait until retirement to visit a chocolate factory? At the age of 39 when diagnosed with Hashimoto’s Disease, among other fun ailments with kooky names, I decided to stop the someday excuse. I had always maxed out my 401k and Roth IRAs and donated to three charities I felt strongly about, but I felt like it was never enough. I was hard on myself and was a little stingy sometimes with my money because I always thought it should be more, even though my financial planner said I was right on track with my life goals. 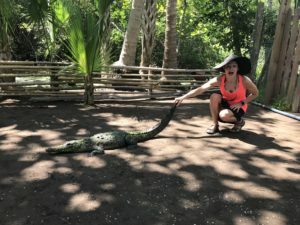 As a new business owner, I allowed myself a maximum of two years not to put any money back for retirement with a goal to max out my Roth again by year three. I did it and needed that goal. It wasn’t a someday in the sense that it wasn’t going to happen or I could have put it off, but a strong year three where I had my financial planner hold me accountable. 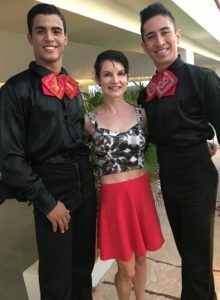 I stopped waiting to take a foreign language class and have become consumed with Duolingo app, combining it with three-week trips to Huatulco, Mexico every February for the last three years, with another trip already planned for next year. I found a way to make a business model work that I’m spending three weeks away in the middle of winter, enjoying life while working, and not waiting until I’m semi-retired to be living in a way that seems shi-shi. We did downsize just like I wanted to but to a fixer-upper. It will take years to get everything up to the level of our last house, but this one we will have paid off in 2.5 more years and knowing that makes me so giddy I don’t even care that we have five different floor coverings in an 1100 square foot house! We’re getting ready to celebrate our 20th wedding anniversary this summer and are going to Yosemite. I’m not waiting to start a new goal with my husband, but instead, write something every single day that I am thankful for about him in my 5-min journal app. Having goals is great. I’m a big fan. But now, I look at my goals and ask myself if this is something that has to wait until later (there are definitely things that have to be done in order) or if I’m just procrastinating and I could start right now. Am I sighing and following that with someday or can I take a baby step right now to do it? 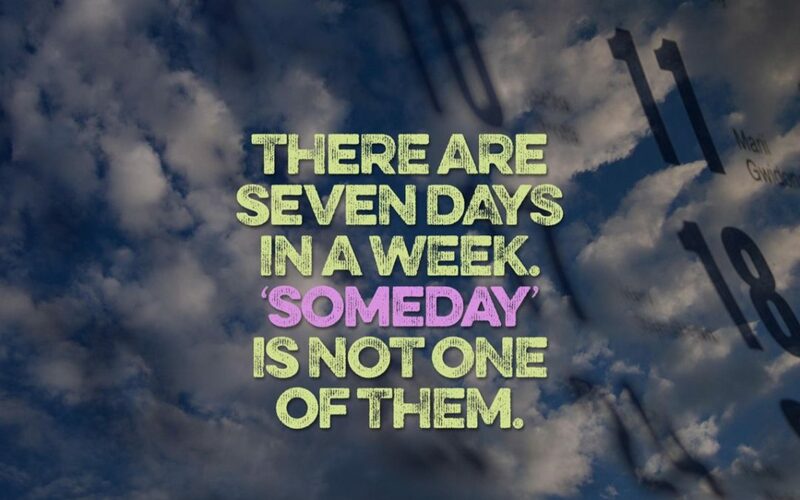 What are you putting off that you say is gonna happen someday, that you could really start doing today?